Building Refer from the ground up; seeing an idea through design to execution and implementing a go-to-market strategy. 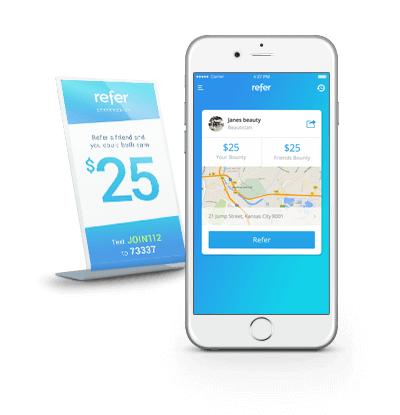 Refer is a word of mouth marketing application that rewards users for sharing their favourite local businesses with their friends. 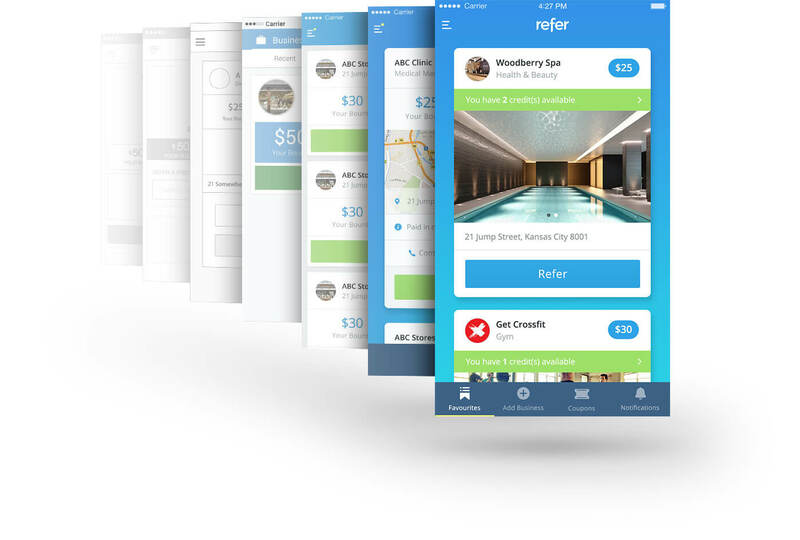 Refer makes the referral concept that has been so successful in applications such as Uber and Airbnb accessible to all businesses. At Isoflow we design apps day in and day out, but every once in a while an opportunity comes along where we invest our own time and capital in a product that we really believe in. 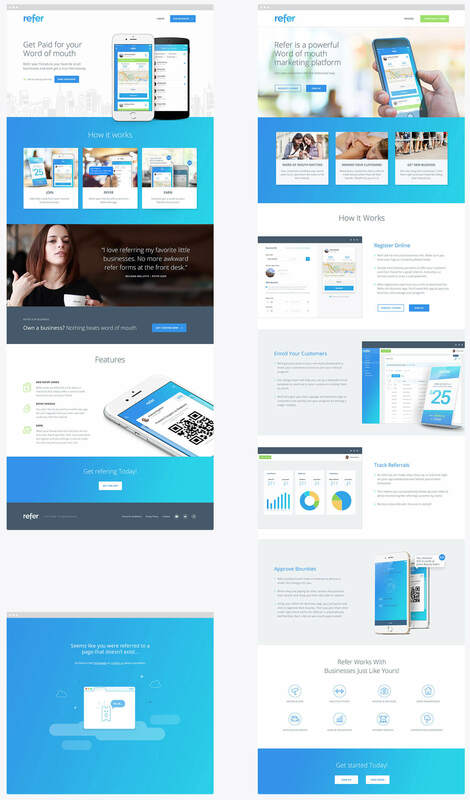 Isoflow is a sweat equity partner on Refer and contributes all product design, UX design, UI design and front-end development time to the project. Refer was launched at the end of 2015. This project is made up of different components that each needed to be wireframed and designed, so it was important that the design process look at them as a whole and how they fit together.Â The product has undergone several iterations to reach the level of simplicity of its current state. After an extensive product design and wireframing phase, we built it, took it to market, gathered feedback and then headed back to the drawing board to make some significant changes. After several iterations, we decided on a logo typeface that felt in line with the ideals of simplicity, modernity and approachability that we had in mind when crafting the appâ€™s branding. The logo mark, a stylised credit card, references the idea of fast, effortless payment, and was extended out into the app icon. The consumer app is the main touchpoint for any users referring businesses. 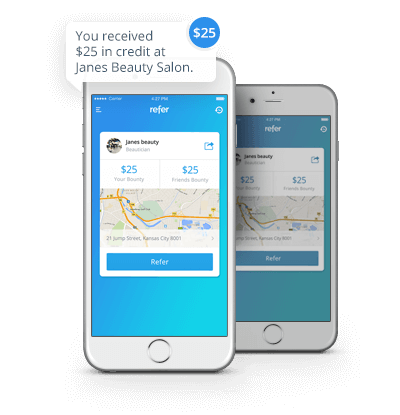 Hereâ€™s where they find businesses to refer, easily invite their friends and get rewarded when their friendsâ€™ referrals are successful. Business owners get access to a special section in the application that allows them to see how many people have enrolled in their referral program, how many referrals have been made by those people and what the conversion rate is. 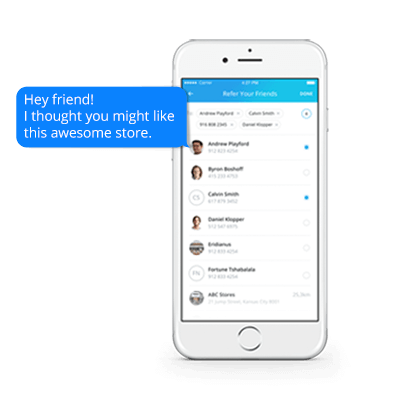 An important feature of the app is that it acts as a lead generation tool where businesses can proactively contact people that have been referred but have not yet visited their stores. The website consists of both a consumer-targeted and merchant-targeted section. On the consumer side we've explained how it works and made it very easy to sms a link to your device and get going. On theÂ dedicated â€œFor Businessâ€� page we've elaborated on the benefits of the platform to businesses and made it possible for merchants to sign up in only a few minutes. Any businesses that use Refer can access the business portal to view their referral stats, do bulk invitations of users onto the platform, update their listing and manage payment details. 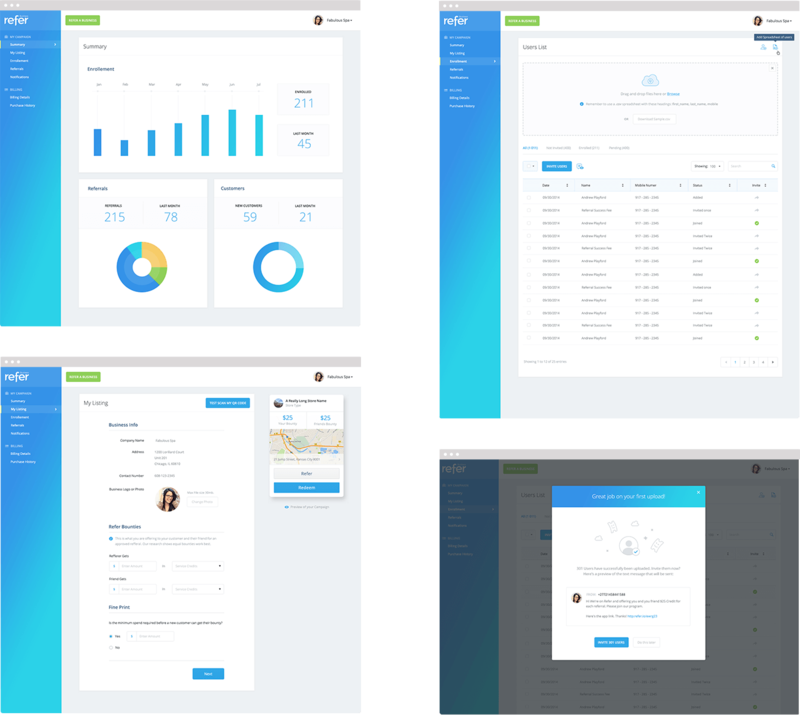 We focussed on a simple UI that makes it easy for even non-tech-orientated business owners to kickstart their referral campaigns. 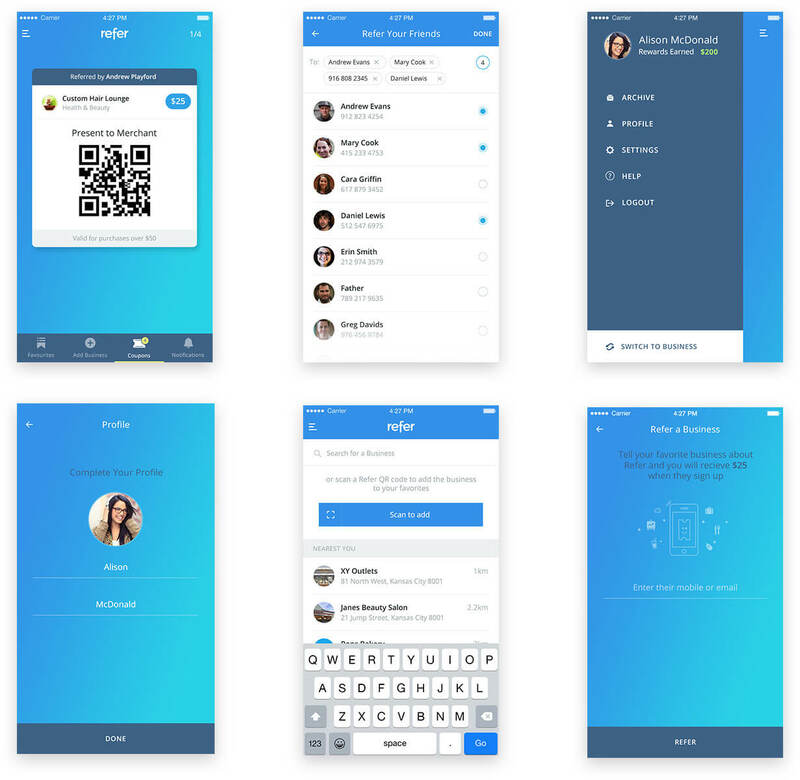 The interface mimics the card-based display that users experience in the application. The brand identity is embedded throughout the app when we communicate updates, warnings, errors or next actions required with custom iconology. The icons are focussed on rewards and sharing with a playful style. 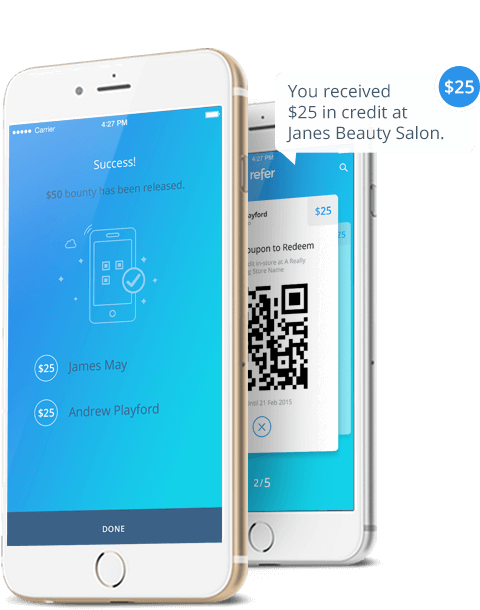 The first touchpoint most people have with Refer isÂ a printed QR code on a keychain or an in-store slant back that enables them to initiate the referral process.Â These act both as a quick way to find a business's listing on your device and as a marketing element for the Refer application.